Hillbank is bounded by Whitford Road in the north, Blackburn Road to the north-east, Main North Road in the east, Little Para River in the South, and the suburb of Gould Creek to the west. 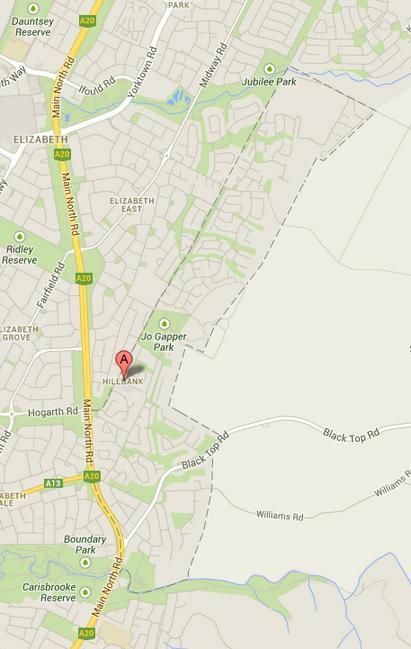 Up until 23 December 1987 the suburb of Hillbank was actually known as Elizabeth Heights. Hillbank is an established residential area which is very popular for its large blocks and views. There are numerous reserves located throughout the suburb including the Jo Gapper Regional Park. The suburb is also in close distance to the large Carisbrooke Reserve which features the Little Para River with lots of walking and cycling trails. Located at the south boundary of the City of Playford, the suburb has access to a number of educational, recreational and commercial facilities located in nearby suburbs. It is only a few minutes’ drive to major shopping centres Parabanks Shopping Centre and Elizabeth Shopping Centre, and minor shopping centres including Elizabeth Vale Shopping Centre. The median age of people in Hillbank is 37 years with children between the ages of 0 and 14 making up 19.6% of the population, and people aged 65 years and over making up 9%. Of occupied private dwellings in Hillbank, 99.6% are separate houses, 0.2% are semi-detached, row or terrace houses, townhouses etc., and the suburb consists of 0.2% flats, units, apartments or other dwellings. Out of these properties, 28.5% are owned outright, 56.7% are owned with a mortgage and 12.6% are rented. 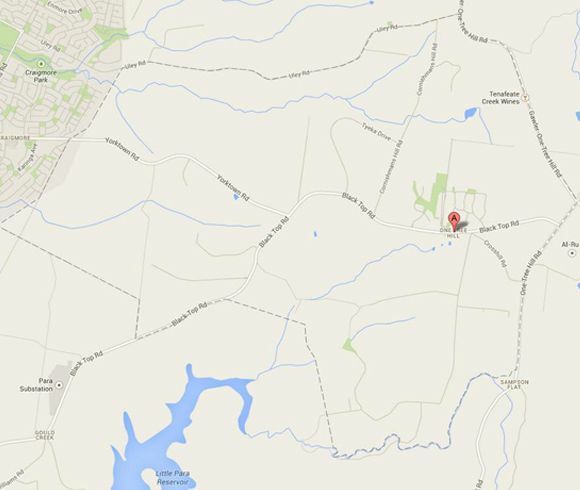 One Tree Hill is bounded by Uley Road in the north-west, Gawler-One Tree Hill Road in the north-east, One Tree Hill Road to the east, a river to the south, parts of the Little Para Reservoir boundary, Black Top Road, Yelki Road and Whitford Road to the south-west and the back of Craigmore to the west. The suburb is named after the One Tree Hill Inn (licensed in 1851). The area was settled by Europeans in the early 1840s and the township commenced in 1851 with the building of the One Tree Hill Inn. One Tree Hill has several primary schools, a small shopping centre and general store. The town was built in a strategic location, being close to several larger towns (such as Gawler, Elizabeth and Salisbury) which have major facilities. The median age of people in One Tree Hill is 41 years with children between the ages of 0 and 14 making up 21.6% of the population, and people aged 65 years and over making up 10.4%. Of occupied private dwellings in One Tree Hill, 98.2% are separate houses, 0.9% are semi-detached, row or terrace houses, townhouses etc., and the suburb consists of 0.0% flats, units, apartments and 0.9% other dwellings. Out of these properties, 39.8% are owned outright, 52.9% are owned with a mortgage and 6.4% are rented.